Paul Wasicka was born in Dallas, Texas on February 17, 1981. At the poker table he goes by “Kwick Fish.” Paul hasn’t been playing poker very long, he began playing in 2004 when he went to an underground poker tournament in Denver, Colorado. Before he started playing poker, Paul had worked as a bartender and restaurant manager. 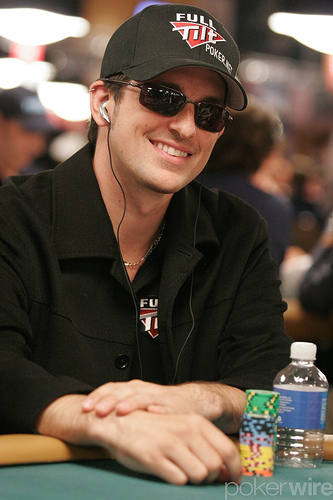 Paul Wasicka is known primarily for his second place finish to Jamie Gold in the 2006 World Series of Poker Main Event. Paul Wasicka won $6 million for his performance. Paul Wasicka also won the 2007 NBC National Heads-Up Poker Championship, taking home $500,000 for his victory. He has also made one final table at the World Poker Tour, finishing fourth at the LA Poker Classic, earning $455,615. To date, Paul Wasicka has won over $7.8 million. Paul Wasicka’s preferred poker game is the 10/20 Short Handed No Limit, while his favorite hobbies include bowling and skiing. Paul Wasicka played for Victory Poker in 2010 and up until the Black Friday indictments on April 15, 2011. He currently lives in Las Vegas, Nevada.